Peter Hough - "This is how it is! ": Bill Roache: Instant karma's gonna get you! Bill Roache: Instant karma's gonna get you! Coronation Street veteran Bill Roache who plays Ken Barlow has attracted criticism for voicing his beliefs that the bad things that happen to us in this life, are punishment for how we behaved in previous lives. The media have tied these comments specifically to victims of child abuse, saying in effect, that Roache believes that this is their punishment for past misdemeanours. Football manager, Glen Hoddle, made similar comments in 1999 which were tied to disabled people. 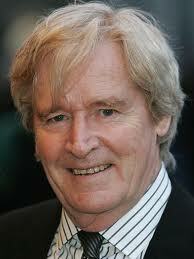 Like Hoddle, Bill Roache has since apologised, and back peddled on his original comments. But in a free and democratic society, should either have to apologise for expressing their spiritual beliefs? Hinduism has a belief in rebirth, and the law of 'karma' - that the soul must keep returning to mortal existence, until it has learned all the lessons of life on the earthly plane. When a person becomes truly spiritual - the state of 'Nirvana', that individual will then progress and dwell in paradise. The Veda says that karma is not punishment or retribution, but a consequence of ones actions - cause and effect in other words, action and reaction on the spiritual level. This 'consequence' can be mitigated by good deeds and acts. The Bible also says: 'As you sow, so you shall reap'. By extension, the belief in karma, can be applied to any horror or bad luck visited on people. This is where Bill Roache and the likes of Glen Hoddle become unstuck. We naturally feel empathy for individuals who have difficulties physically, or who are victims of the evil acts of others. So to imply, through a spiritual belief, that they brought it on themselves through their own actions in a previous life can seem outrageous - and unfair. 'It's a point of view. There are other points of view'. 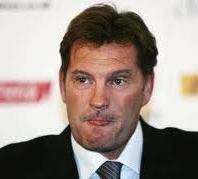 Glen Hoddle was sacked. I hope the same doesn't happen to Bill Roache. In most cases, there is no correlation between what people believe, and how well they perform in their jobs. Free speech? It's seems it's allowed as long as it doesn't offend anyone.